An orthodontic emergency is any concern involving unexpected pain or discomfort. Urgent problems should be corrected as soon as possible to ensure that your orthodontic treatment proceeds on time. The Brace Place provides 24/7 emergency service for patients in Scarborough and Toronto, ON. If you are not a patient of our office and your orthodontist is unavailable, we can remove any discomfort you are experiencing and refer you back to your orthodontist for further care. A true emergency such as swallowing a piece of metal or plastic or an object obstructing the airway should be directed to the nearest hospital. An emergency visit during office hours would aim to repair a broken brace or removable appliance. This may require re-bonding loose brackets, cutting poking wires, splinting traumatized teeth, or making adjustments to the plastic or metal portions of a removable appliance. No matter the source of your discomfort, our goal is to alleviate it as soon as possible. If you experience an urgent issue with your orthodontic appliances, we recommend immediately reporting the problem to Dr. Gurza or a member of our team. Our highly trained and personable staff will arrange for you to be seen in the office at a mutually convenient time. During this phone call, we may also suggest ways to help reduce the discomfort with some DIY procedures found in your Braces Owner Manual. Problems with Invisalign aligners can often be solved by returning to the previous aligner stage. A number of different issues can cause loose appliances. Broken or bent parts to the plastic or wires, improper wear, over or under activation of springs or expansion screws, loss of supporting baby teeth, or interference from new adult teeth can all cause these delicate appliances to become uncomfortable or unwearable. The sooner the problem is resolved the less chance for tooth or gum damage to occur. A loose bracket should be reported and repaired as soon as possible, especially if it is a bracket to which elastic bands are attached. The procedure to repair this is the same as when the braces where originally placed. Note that there are times when it may be best to leave a broken brace off. This may be when a tooth is under erupted and will not hold the bracket, or when the teeth excessively overlap so that correct placement cannot be made. Loose wires are usually annoying when eating and can cause painful soft tissue irritation if left unattended. Having this corrected may involve readjustment to the existing wire or a different type of wire. This would be determined at your emergency visit. If you experience a poking wire, apply a small ball of orthodontic wax directly to the poking wire and arrange for a visit. Poking wires are treated by cutting the wire on the affected side or by readjusting the wire ends so as not to irritate the tongue or cheeks. Should wax not be available, a good substitute is a ball of sugarless gum. This should give you enough relief until you can be seen. General soreness is common when new braces, new appliances, and initial Invisalign aligners are placed. The pain usually lasts only a few days and can be relieved by over-the-counter pain reliever such as Advil. Treatment for facial trauma depends on the severity of the injury. In cases of excessive bleeding, facial lacerations, dislocated or fractured bones, or avulsed (lost) teeth, an emergency visit to the hospital is recommended. If the trauma affects mainly the teeth, contact your general dentist. They will take radiographs to determine if there has been root damage and possibly make restorations to areas of tooth fracture. 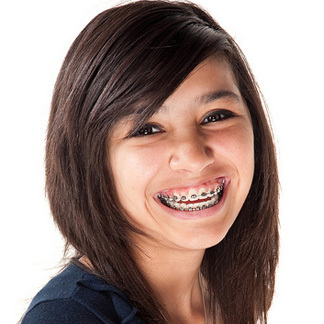 When fixed braces are present, the most common injury is to the surrounding soft tissue or a loose bracket. Any tooth which receives a blow is splinted (joined) to the adjacent teeth using the braces and is left without further movement for up to six weeks.